The first match of the season for the WMPC junior team against Uni-T. The team consisted of 4 players, Toby, Ethan, Zak and Charlie. As a team they played extremely well. Although at times they got annoyed at each other and became frustrated. They did managed to keep going and get a 4-2 (rubbers) win overall. Well done to Charlie and Zak for winning some key games that allowed us to win the match overall. Overall, all the games came extremely close and often went to 3 sets. The opposition hit very hard and when given the opportunity attacked the shuttle and some were very successful. Our PC players managed to counteract the attack by not lifting the Shuttle to them as often and really looking to attack them Uni-T’s shots instead. Well done to everyone. Under match conditions they played great together as a team and well done for winning the match. Redditch and Bromsgrove council are working with the West Midlands Performance Centre and running a 3 day Summer Camp in Redditch. Lorraine Cole will be at the Abbey stadium in Redditch for the 3 day camp, coaching children of all ages how to play badminton. More details can be found HERE on the Redditch BC website along with how to book. Don’t miss this golden opportunity from August 1st to August 3rd, 9.00am till 3.00pm. 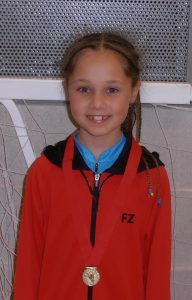 Three days of badminton from the WMPC Head Coach. Abbey Staduim Redditch. Interested then why not pop along and see what it is all about. Book places HERE. 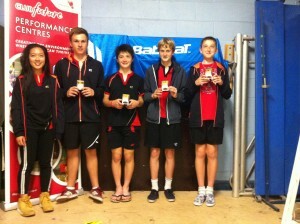 Congratulations to PC players at the Nationals…………..! Players from the West Midlands Performance Centre receive congratulations as they step up to collect their medals from Nathan Robertson. 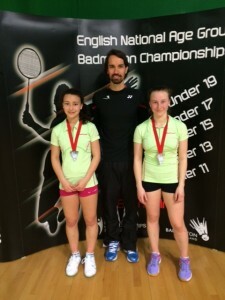 This weeks Under 15 England Nationals Championships 2016 at Redbridge Leisure Centre saw players from the PC collect silver and gold medals. Well done. Check out the full results HERE. 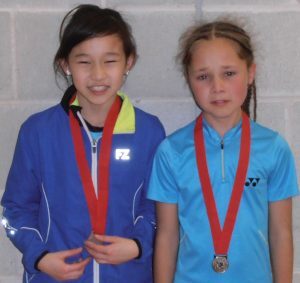 Kiara Henry (WMPC player) and Abbygael Harris win silver medals in the level doubles. (Photos supplied by Kiara’s dad). 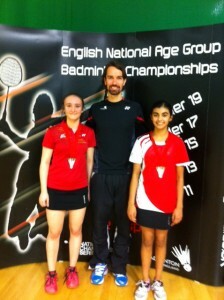 Asmita Chaudari (WMPC player) and her level doubles partner Hope Warner win the gold. (Photos upplied by Asmita’s mom). 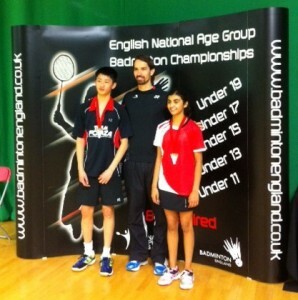 Asmita Chaudari (WMPC player) and her mixed doubles partner Harry Huang win the gold. 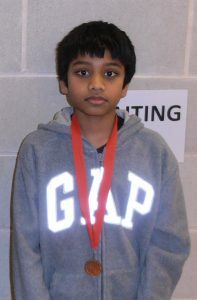 (Photos upplied by Asmita’s mom).